While it is important to look at a patient as a whole person from a physiological, psychological, spiritual, and social perspective, it is also important to take a patient's culture and cultural background into consideration when deciding how to care for that patient. After all, the values and beliefs passed down to that patient from generation to generation can have as much of an effect on that patient's health and reaction to treatment as the patient's environment and social life. The Transcultural Nursing theory developed by Madeleine Leininger is now a nursing discipline that is an integral part of how nurses practice in the healthcare field today. and is a Registered Nurse. She is a Certified Transcultural Nurse, a Fellow of the Royal College of Nursing in Australia, and a Fellow of the American Academy of Nursing. Madeleine Leininger's theory of Transcultural Nursing, also known as Culture Care Theory, falls under both the category of a specialty, as well as a general practice area. The theory has now developed into a discipline in nursing. The Transcultural Nursing theory first appeared in Leininger's Culture Care Diversity and Universality, published in 1991, but it was developed in the 1950s. The theory was further developed in her book Transcultural Nursing, which was published in 1995. In the third edition of Transcultural Nursing, published in 2002, the theory-based research and the application of the Transcultural theory are explained. Transcultural nursing is a study of cultures to understand both similarities and differences in patient groups. Culture is a set of beliefs held by a certain group of people, handed down from generation to generation. In transcultural nursing, nurses practice according to the patient's cultural considerations. It begins with a culturalogical assessment, which takes the patient's cultural background into consideration in assessing the patient and his or her health. Once the assessment is complete, the nurse should use the culturalogical assessment to create a nursing care plan that also takes the patient's cultural background into consideration. There are many reasons it's beneficial for nurses to use cultural knowledge of patients to treat them. First of all, it helps nurses to be aware of ways in which the patient's culture and faith system provide resources for their experiences with illness, suffering, and even death. It helps nurses to be understanding and respectful of the diversity that is often very present in a nurse's patient load. It also helps strengthen a nurse's commitment to nursing based on nurse-patient relationships and emphasizing the whole person rather than viewing the patient as simply a set of symptoms or an illness. Finally, using cultural knowledge to treat a patient also helps a nurse to be open minded to treatments that can be considered non-traditional, such as spiritually based therapies like meditation and anointing. In the Transcultural Nursing theory, nurses have a responsibility to understand the role of culture in the health of the patient. Not only can a cultural background influence a patient's health, but the patient may be taking home remedies that can affect his or her health, as well. Leininger identified three nursing decisions and actions that achieve culturally friendly care for the patient. They are: cultural preservation or maintenance, cultural care accomodation or negotiation, and cultural care repatterning or restructuring. The nurse's assessment of the patient should include a self-assessment that addresses how the nurse is affected by his or her own cultural background, especially in regards to working with patients from culturally diverse backgrounds. The nurse's diagnosis of the patient should include any problems that may come up that involve the healthcare environment and the patient's cultural background. In addition, the nurse's care plan should involve aspects of the patient's cultural background when needed. Finally, the nurse's evaluation should include a self-evaluation of attitudes toward caring for patients from differing cultural backgrounds. In today's healthcare field, it is required for nurses to be sensitive to their patients' cultural backgrounds when creating a nursing plan. This is especially important since so many people's culture is so integral in who they are as individuals, and it is that culture that can greatly affect their health, as well as their reactions to treatments and care. 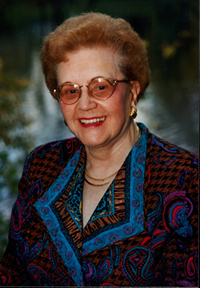 Thanks to Madeleine Leininger's Transcultural Nursing theory, nurses can look at how a patient's cultural background is involved in his or her health, and use that knowledge to create a nursing plan that will help the patient get healthy quickly while still being sensitive to his or her cultural background.